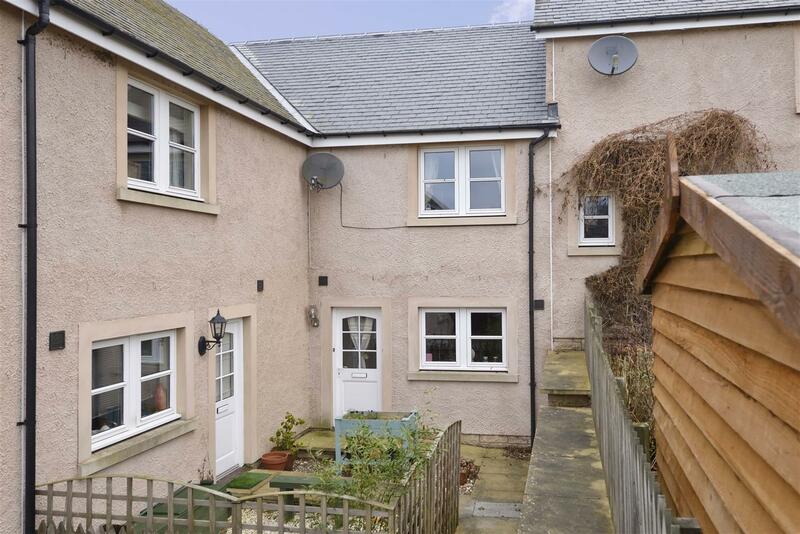 This comfortable and charming mid terrace cottage sits within the peaceful village of Nisbet and forms part of an attractive and modern steading, set within a beautiful countryside benefitting from the outlooks and peaceful position the village affords. 1c West Nisbet would make an excellent home for a retiree, ideal for those looking to downsize, or as a well-considered starter home being presented in excellent condition with a contemporary décor, low maintenance upkeep and high energy efficiency - properties are rarely available within the village, so viewing is highly recommended! 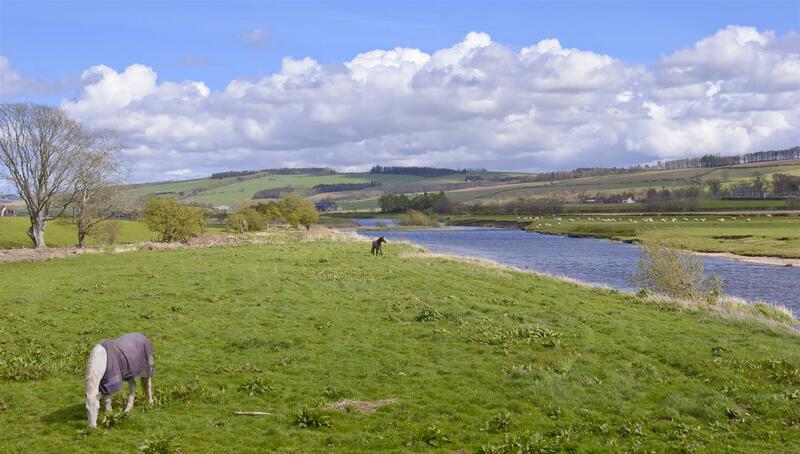 West Nisbet Steading is a small hamlet of select properties, set three miles from the A68, within lovely countryside around the Ancrum and Teviot Estates. 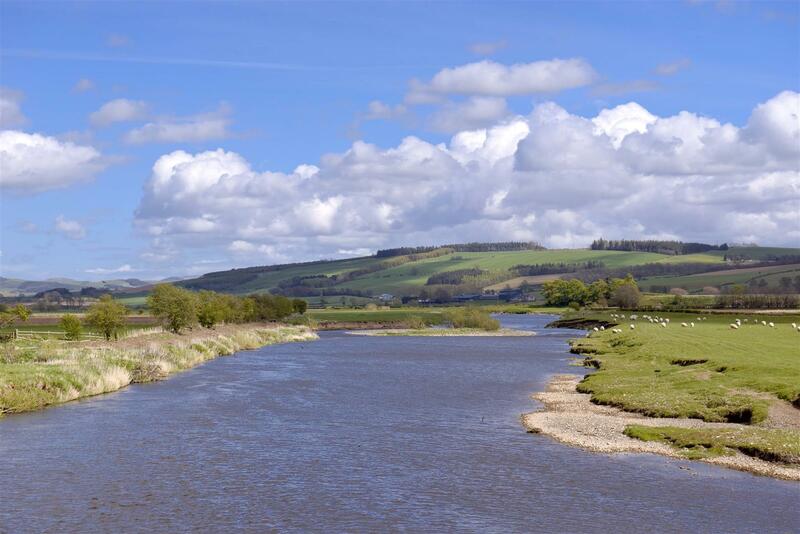 Local attractions include Woodside Nursery and Café, walks and craft units at Harestanes Visitor Centre and the nearby Teviot Water Gardens and Smokery at Eckford. The popular Borders towns of Kelso and Jedburgh are within very easy reach, both with distinctive characters, quality shops and schools. This is an Ideal location for those interested in golf, with championship golf available at the Roxburghe and further eighteen hole courses at Jedburgh and Minto. There are excellent road connections with both Edinburgh and Newcastle commutable within approximately an hour by car. A gated entrance from the residents carpark leads to the main door; opening to the hallway with doors to the living room, kitchen and cloakroom. 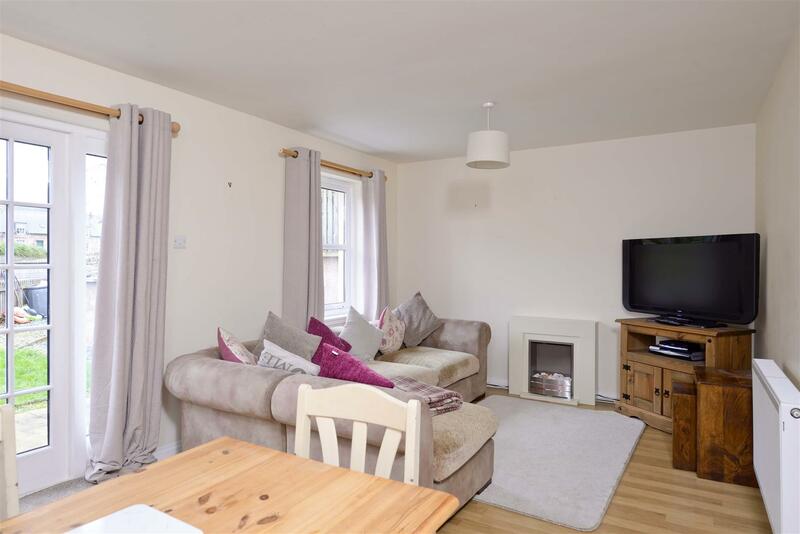 The kitchen is fully fitted with stylish kitchen units hosting plenty of storage and with integrated oven, hob and fridge freezer. 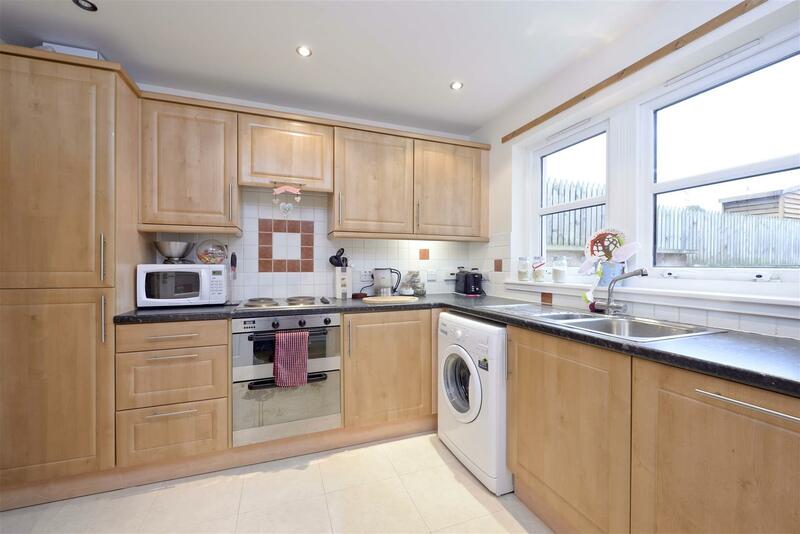 There is space for a breakfasting table and chairs, and further appliances include washing machine and dishwasher. 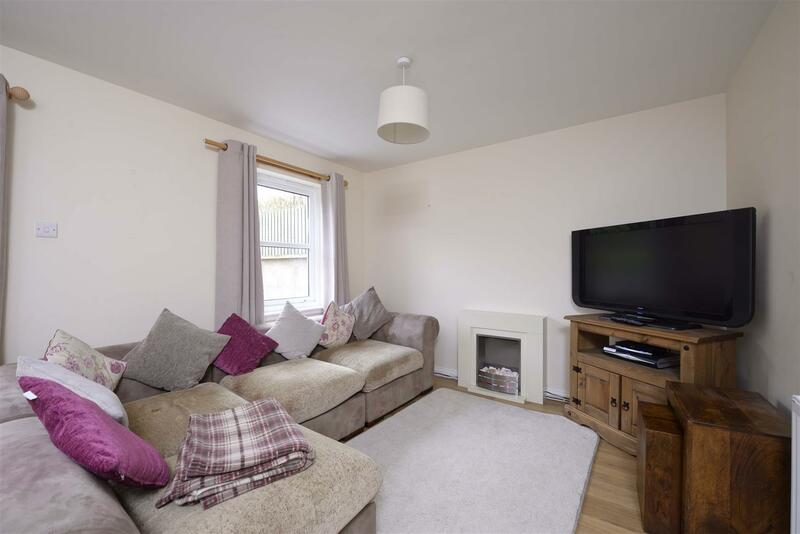 The living room sits to the rear and enjoys lovely outlooks across the garden with patio doors and picture window providing excellent levels of light. The living room is ideal for both lounge and dining furnishings, fitted with wood effect flooring, feature fireplace and in-built storage. A useful cloakroom facility with W/C, wash hand basin and extractor fan also opens from the hallway. 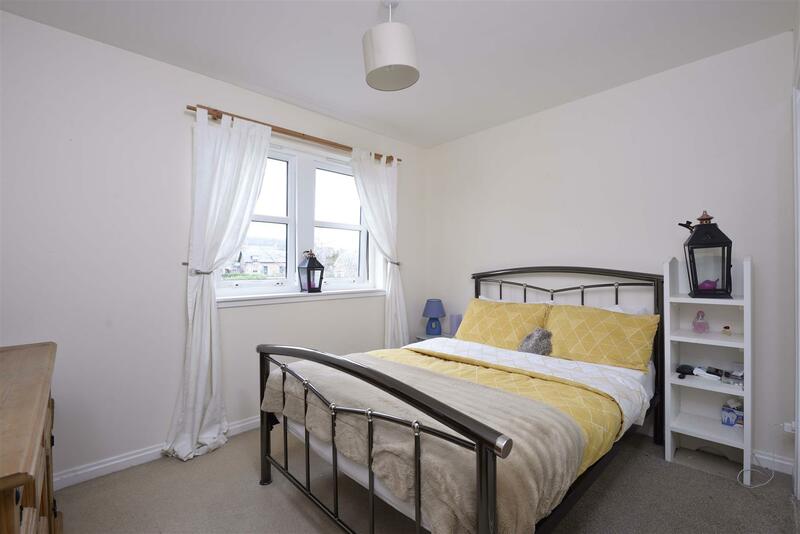 Two bright and well-proportioned double bedrooms sit on the first floor, both benefitting integrated wardrobes and neutral carpeting. 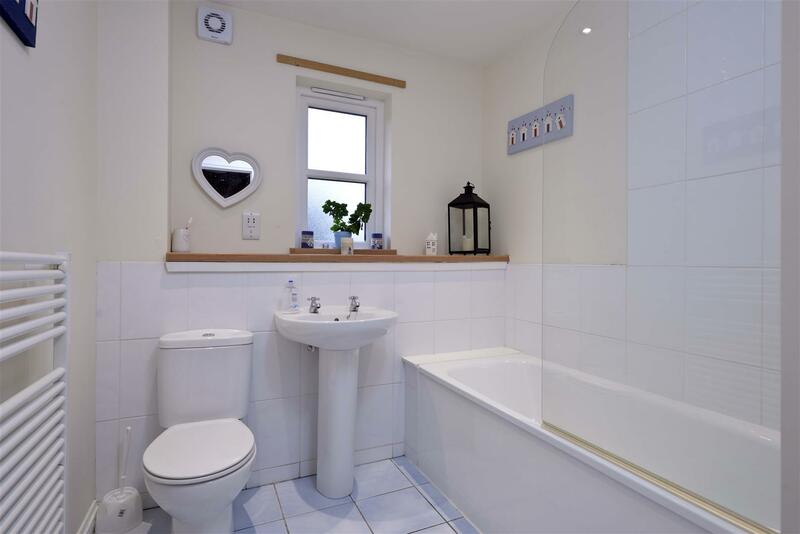 The family bathroom is fully fitted with white three piece suite with shower over bath, heated towel rail and modesty glazed window. 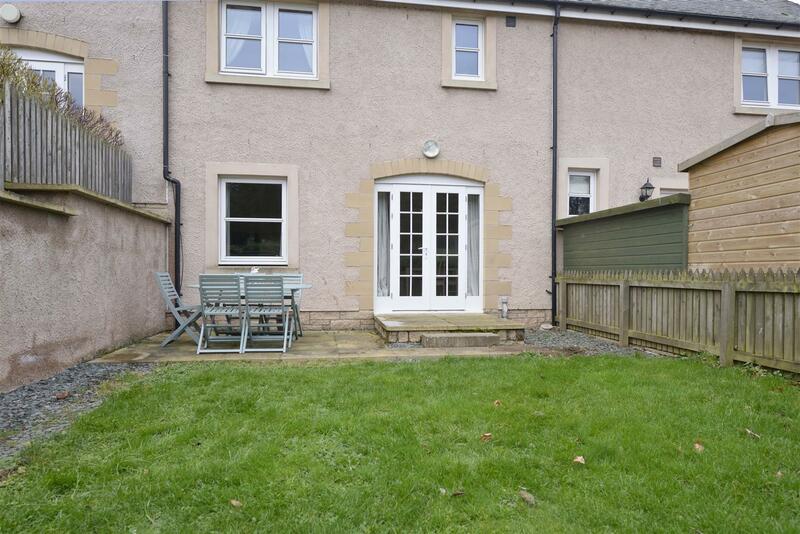 Adding to the charm of the area, each of the steading cottages enjoys a private garden, front and rear. The front section for 1C provides a courtyard style entrance for ease of maintenance; with paving and space for potted plants. To the rear, the garden is landscaped in sections with lawn, patio and gravel borders, with a good level of privacy. 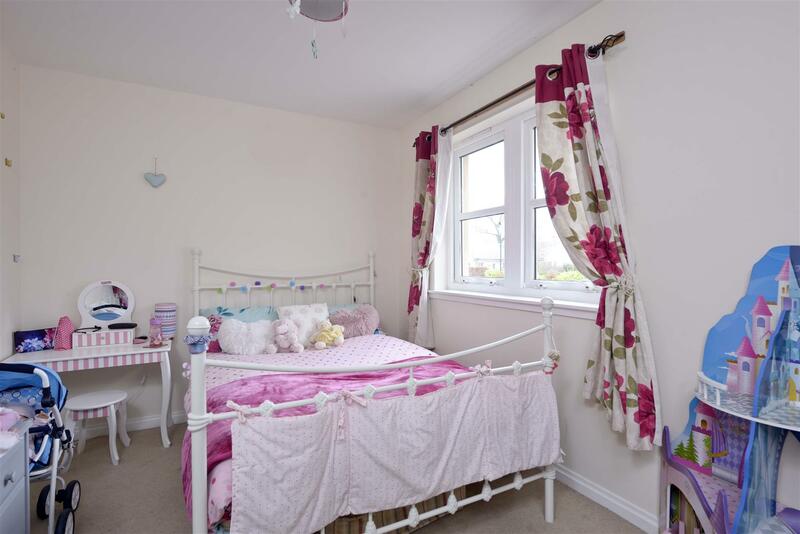 All floor coverings and curtain poles, blinds, appliances as viewed are included in the sale price. Resident parking with permission two allocated spaces per cottage.